When Sunday morning rolls around, Alexa Bajtos, a VIP Rouge Member, “uses every free minute of her day” to sign in online to her favorite Beauty Insider Page. Despite the fact that Alexa, a 19 year old freshman at Texas Christian University, has 6 hours of homework to do that day, she still maintains an active user profile within the Sephora online community. For the completely beauty-obsessed, aka Alexa, Sephora has created the new premium VIB Rouge status with even more extraordinary beauty gifts, including free shipping on every order and unlimited free makeovers in the Beauty Studio. But I made sure to ask Alexa how exactly one obtains the VIB Rouge status. Her response: “Easy! Just spend $1,000 or more in a calendar year to unlock the ultimate beauty supplies.” Alexa is a good representation of the majority of individuals who are active members in this Beauty Insider Community. Alexa is a teenage girl looking to this online community to correspond with individuals similar to her to further her own prom makeup page she has on Instagram. 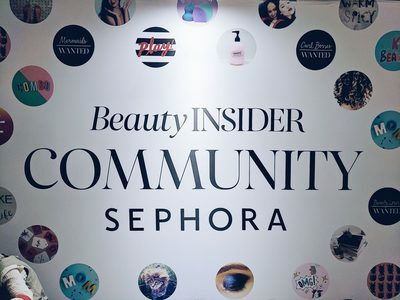 Sephora just recently introduced its newest digital endeavor, the Beauty Insider Community, on August 13, 2017. The six responsive features the Sephora page offers is open to the public eye, but, in order to share or receive questions and recommendations, one must sign up to be a member of Beauty Insider, Sephora’s complimentary loyalty program, in the Sephora store, Sephora inside JCPenney, sephora.com, or the Sephora to GO iPhone app. 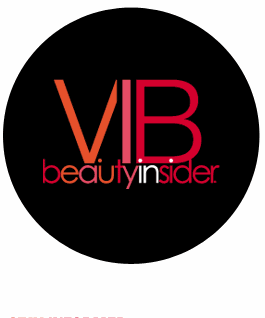 Once the profile is completed, becoming a VIB Rouge Member like Alexa is only a few steps away.This online community serves as a destination for beauty-lovers to find inspiration, ask questions and get recommendations in an unsponsored, real-time, real-talk social setting. It is designed to create a unified, mobile based, social experience and offer Sephora's main goal: the opportunity to “Beauty Together.” Mary Beth Laughton, the Senior Vice President of Digital at Sephora, says, in an interview with Business Wire, “As with any digital innovation that we bring to our clients, we look not only at how we can optimize our clients' online journey for a seamless on and offline experience, but also at how we can make our digital offerings truly essential, intuitive and fun to use.” This community is for those clients who desire a deeper lever of connection with the beauty world and inspiration from people all over the world, who are trustworthy in makeup. “Because when dropping $60 on eyeshadow, you want to know it’s going to be good,” Alexa states. Alexa says, “I’m not very technologically savvy, but on the Beauty Insider Community page I am close to being an expert, but that can also be because of how user friendly and accessible the page really is, which makes it very unique from other sites I have tried to use.” According to Glamour Magazine, the community was up and running with a holistic domain and an easy to follow platform on August 13, 2017. When accessing the page, there is a HOME BASE which is the central destination for the new community. The clients can build their custom profile here and begin to engage in conversations. For example, Alexa uses this to select blonde hair, medium-tan skin color, and hazel eyes to find the products best for her. But what if one does not have much knowledge on makeup products? Well, this home base can also be used for browsing looks and videos from other members and then reading reviews on some of their most recent purchases. After creating a profile, dive right into the fun aspects. The six responsive features are out in the open and need no time to dig and find them. ​The first one is the aspect of Joining Groups. This features a variety of themed groups where clients can meet others in the community with similar interests. Glamour Magazine states the purpose of this feature is to “connect like-minded members.” This feature offers groups such as “Skincare Aware, Everything Eyes, and Best Hair Ever.” On average, these groups have over 300,000 members and over 8,000 comments and responses. This community is frequently interacting with new posts being created every five minutes. The community members use this feature to gain advice and recommendations on individuals' favorite products to help with certain “problem areas.” Alexa has commented before in the Skincare Aware group: “Oiling skin, Help!” Within minutes, responses were flowing in with individuals' favorite products, and, to this day, Alexa is still using one that another user of the community recommended. Now lets Talk About It! This feature holds the “Conversations” section where it is made up of a list of active beauty tips and topics that allow clients to trade their experiences with certain products. The community uses this Reddit-style forum to network with like-minded people or search popular conversations. An example of how this feature works is user EviePeach posts on the forum,“I'm looking for a mascara that is barely there, easy to apply and lasts long. I'm Italian and Spanish, so I already have dark lashes and skin, but I still need a bit of mascara to make my eyes look their best.” After uploading the post, any member can view it and respond in this feature. This was a successful post because thirteen minutes after, user StephanieBT responded “Hi @EviePeach, one of my favorites for the needs you mentioned is the Kevyn Aucoin Volume Mascara.” This feature works extremely well because the community members are able to explain what they are looking for and receive recommendations on the products. Another way this beauty community interacts other than the conversation tab is through the Get Inspired tab right next to the Talk About It tab which can be seen in visual three. This tab sets this community apart from any other part on this beauty page because this tab includes a “Gallery” of photos in an interactive wall instead of conversations. Stated by the company Business Wire, this is a wall where members can “see and be seen” which depicts the trust the community has with one another. It builds trust between a community because strangers all over the world feel comfortable posting what they look like and how the product has helped or hurt them. Here clients post and browse looks and videos from members with product recommendations and not only discuss the benefits or negatives to a product but also show exactly how it works with uploading an image. For instance, user RCausey101 uploaded an image of herself with the caption “fresh springy look” and attached the products she used to get the beauty look provided. This example depicts the benefits of what the product looks like on as well as obtains aspects of personal identity and safety to share opinions and pictures, making this a strong, integrated community. The last three features were created and opened not long after the original three. Glamour Magazine claimed these tabs were launched August 22, 2017 and “reach out to other devotees to get input on potential purchases and bounce ideas for beauty looks.” The first one is Chat live which is another way for the community to interact. This is different than any other part of the community because it is in real time, seconds! This is different then the “Conversations" tab which takes at least fifteen minutes to receive a response. Kaela Ranhoff, a VIB member, as well as a freshman at TCU who spends a minimum of $350 on merchandise during one calendar year, explains that this live chat “saved me from buying a $70 foundation that is meant for dry skin when I have extremely oily skin.” I asked Kaela how do you use it and how does it work. Kaela explained that,“to launch live chat, just visit your favorite product page and click on the ‘Chat live with Sephora shoppers' icon at the bottom of the page which is further explained in visual three. Any member can type a question in the box and immediately it is posted." So who exactly answers the questions, you ask? Well they’re you! Real people browsing and shopping the site and hanging out in the Beauty Insider Community's answers will pop up on the screen and help validate a decision before checkout. The final way this community interacts is through a “Beauty Matches” page which falls under the Get Advice tab which filters photos and conversations by people who share similar beauty traits. Now the community members are able to filter the product pages to show reviews written by people who share eye color, hair color, hair type, skin tone, and skin type. This final tab is where all the tabs come together cohesively and is similar to the Conversations, Gallery, and HOME BASE features. When the members fill out the profile page with their looks and beauty characteristics, all they have to do is click “Show reviews from my Beauty Matches” on the reviews section of the product page and it will match beauty traits with others similar. “This benefits members to filter through the hundreds of products Sephora offers for hair and finds you exactly what product would be best for yours specifically," says Alexa. The purpose of this specific interaction page is to find “your beauty soulmate online" says Glamour Magazine. All over the world today, individuals are looking to others for advice and inspiration so this online community page just plays into this reoccurring theme. When matching similar people, specific jargon is used to fit personal characteristics. For example, on this tab Alexa posted the products she recommends for curly hair that is particularly complex because each individual fiber has its own curl pattern. Alexa includes jargon such as, “curly hair has dryness due to low sebum production” in her response, as well recommending the product “Olaplex Hair Perfector." This specific jargon creates a smaller community within a larger one to reach out and benefit more people. This Beauty Insider online community is an extension of the Beauty Insider profile that has numerous forums and chat rooms that many get lost in for hours. Mary Beth Laughton in her Business Wire interview says, “We know our clients crave outlets and experiences that give her the deeper personal connections, and they want to be next to people they feel are like them and share their passion for beauty.” This online community can drive emotional connections with clients and personal connections with them in the long run. This community does not only benefit the users but also Sephora as a whole because they can tailor their services in the future because they know what shoppers want and don't want in certain products. Through the six features offered on the Sephora online page, this fuels the engagement of the community and allows them to find a safe home within this Beauty Insider Community. 1. Arneson, Krystin. “Sephora Just Launched Features That Make Figuring Out Exactly What to Buy Way Easier.” Glamour, Glamour Magazine, 14 Aug. 2017, www.glamour.com/story/sephora-beauty-insider-community-platform. 2. “Beauty Insider Community.” Home - Beauty Insider Community, community.sephora.com/. 3. “SEPHORA Beauty Insider, The Leading Beauty Rewards Program, Announces New Birthday Gifts for 2014.” PR Newswire: News Distribution, Targeting and Monitoring, PRNewswire, 12 Apr. 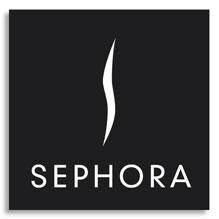 2018, www.prnewswire.com/news-releases/sephora-beauty-insider-the-leading-beauty-rewards-program-announces-new-birthday-gifts-for-2014-234594871.html. 4. “Sephora's New BEAUTY INSIDER COMMUNITY Is Poised to Be the World's Most Trusted and Beauty-Obsessed Social Platform.” Sephora's New BEAUTY INSIDER COMMUNITY Is Poised to Be the World's Most Trusted and Beauty-Obsessed Social Platform | Business Wire, 11 Aug. 2017, www.businesswire.com/news/home/20170811005524/en/Sephora's-New-BEAUTY-INSIDER-COMMUNITY-Poised-World's.